Start with your mobile device. Most tablets and smart phones have accessibility features in the “settings” folder. These might include increasing the size of an app icon or using voice to text. Utilize trusted online resources to research apps. I check with organization websites or blogs to see what they might recommend or I search for “top apps for . . .” and see if several sights highlight the same app. 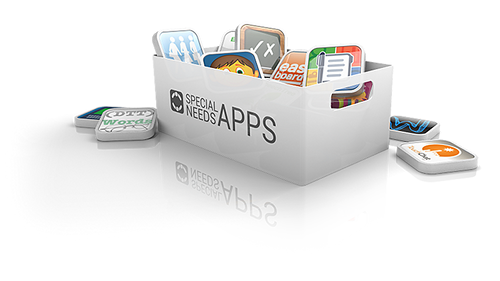 Don’t limit yourself to specialized or therapeutic apps. Often many of the standard games or learning tools can be just as impactful on learning and independence. If there’s a “lite” version, download it first. These are typically less expensive and allow someone to use a limited version of the app before purchasing the full version. The more personalized the app, the more it may reinforce learning. For some people, having photos or voices they recognize assist them in making more personal connections with the learning. Research apps to determine if you can upload photos or record voices if that will be more meaningful to the individual. Find apps that are based on topics the individual enjoys. Connecting an individual to technology might be challenging initially. Using themes such as nature or animals might spark their interest in interacting with the device. As you begin to download apps and introduce them to individuals, remember that “less is more.” Starting with 2-3 apps and becoming comfortable with those can make the difference in how successful the technology will be for the individual and more importantly, how successful the individual will be at home or in the community. For questions about a specific concern or app, call SimplyHome Toll Free at 877-684-3581.